Aligned in the firelight energetics of this Autumn season a group of bloggers has joined their brooms together casting a wide circle of enchantment. It was my friend and writer Beth Shreibman Gehring who alerted me to this event and what a perfect fit it was for me. The circle is centered around the book and or film Practical Magic by Alice Hoffman. Please visit the portal site Practical Magic Blog Party and follow the links to each of the participating blogs. I have not read the book Practical Magic, but must say I am very intrigued. The film came my way years back and didn't really leave an indelible mark until seeing it again a few weeks ago. A tinge of knowing floated into my mind as I watched the first scene, images of the The Burning Times series with Loreena McKinnets song came flooding back into my consciousness. I felt tears well up and remembered my mother telling me as a little girl how some members of our family were called "Brujas" because of our psychic abilities. As I continued to watch the film next I became completely enamored with the Victorian house and vintage neo-Victorian garb of the two aunts. Then I saw the Owens sister Book of Shadows that had been passed on from one generation of witches to another. A Book of Shadows, also called a Grimoire, is a collection of rituals and formulas. 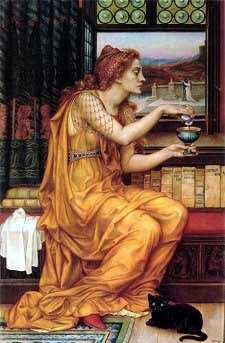 I realized that the pages of perfume formulas and this blog, especially posts like this one about creating a prosperity accord, is in a way a type of Grimoire. As I pondered more I realized I wanted to create a Grimoire reflecting my work as a botanical perfume artist. From what I read Grimoires really should be done as much as possible by hand. I decided to enroll the art work of my husband Greg, since it embodies the exact feel of the Owens book that I love so much. The challenge here lies in that Greg isn't so much interested in making original artwork anymore. Thus, not quite sure how this idea will evolve, the original may end up being more of an assemblage. I'm still orchestrating how to set up the book and delving deep to access threads of my herstory as a bookbinder and letterpress printer to bring all my crafts together. 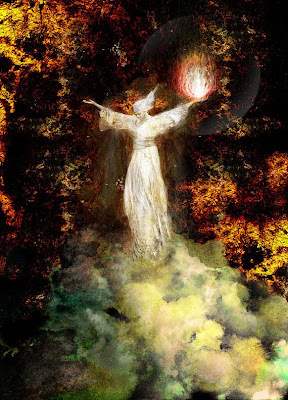 In the meantime, here is one of the images from his Vespertina book/CD and the opening page to a Tarot book proposal my husband put together in 1995 for a book publisher in Japan. The publisher in Japan never picked up the project, nor did my husband produce it. Instead it sits here in the dark, quiet corners of the studio for me to admire and drool over it. 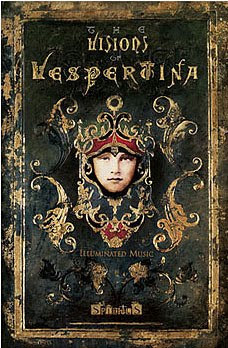 However, Vespertina was published and will soon appear as a graphic novel. Vespertina will surely have a Grimoire. 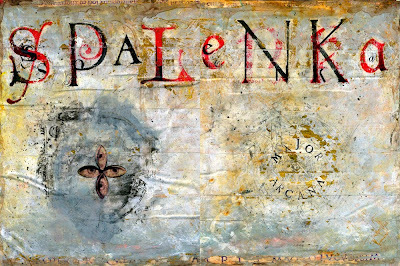 Images: Illuminaire by Greg Spalenka, Practical Magic Grimoire from the film, Spalenka Tarot Book by Greg Spalenka. Well, you certainly are a spell-caster and a Book of Shadows with your potions and Greg's illustrations would be about as magical as it gets. You are one lucky and very Practical Witch. Adore your blog and your husband's artistry will most definitely create a gorgeous Grimoire. Like I have mentioned in previous comments I want a Grimoire as well, just need to work at it but not today. Lovely post and Happy I stopped by. Your Grimoire will most definitely be a work of art - if you get your husband interested in illustrating it with you.Thank you for sharing your heart and your talents. I think this is my favorite PM blog so far and that's saying something! 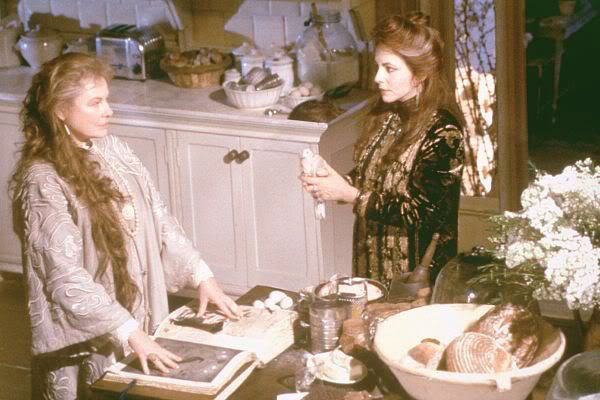 It appears that every one of your posts would have been compatible with the Practical Magic theme. You have amazing stuff and great photos! Keep it up! I will be back!